Crabs! For P200 a Kilo! 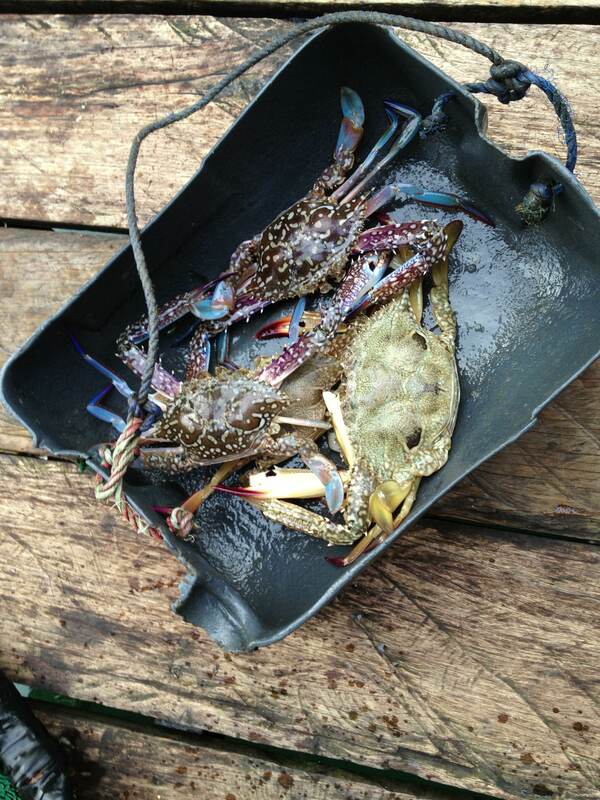 Crabs are usually sold at about $10/kilo, or about P450/kilo, depending on where you are. And of course, though these little (or sometimes huge) critters are sold alive, you cannot get any fresher than having some one get it for you from the fish pen. We were eyeing some beautiful lobsters they had, but at a steep price of P900/kilo or P2800/kilo, depending on the variety, we decided to settle for crabs.